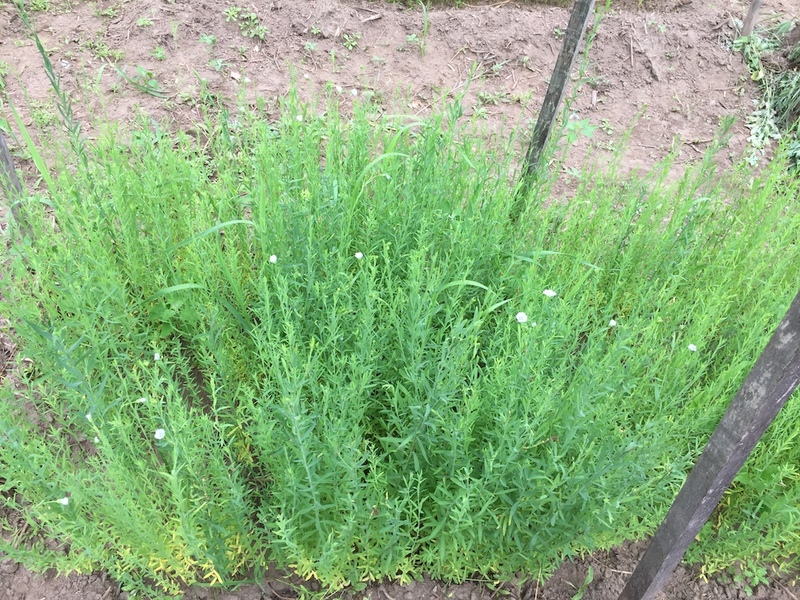 In July, the flax started blooming. 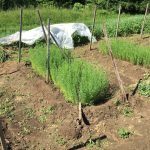 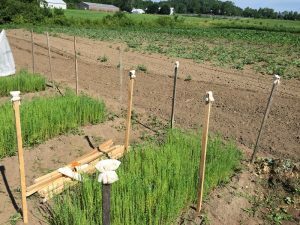 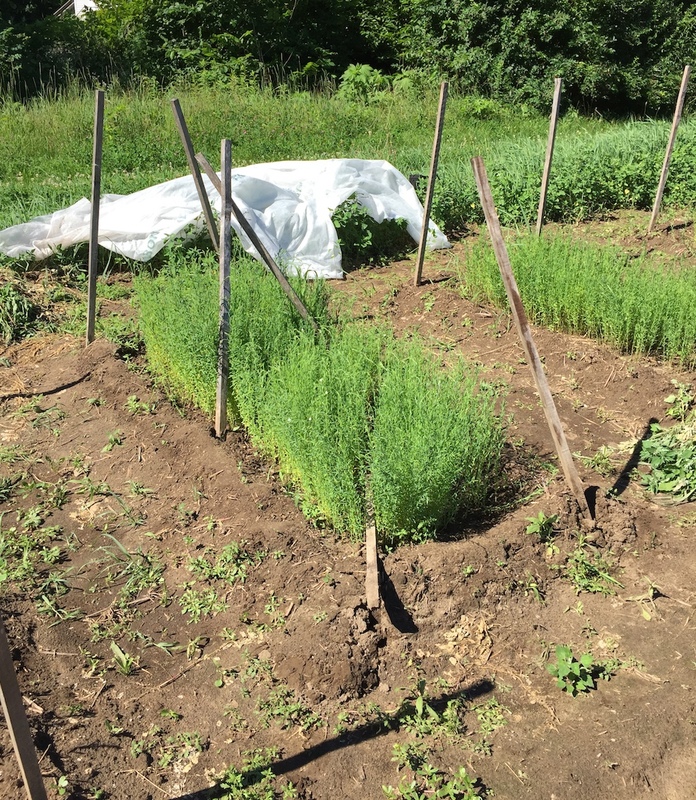 Usually my flax is blooming in June, but I planted really late this year. 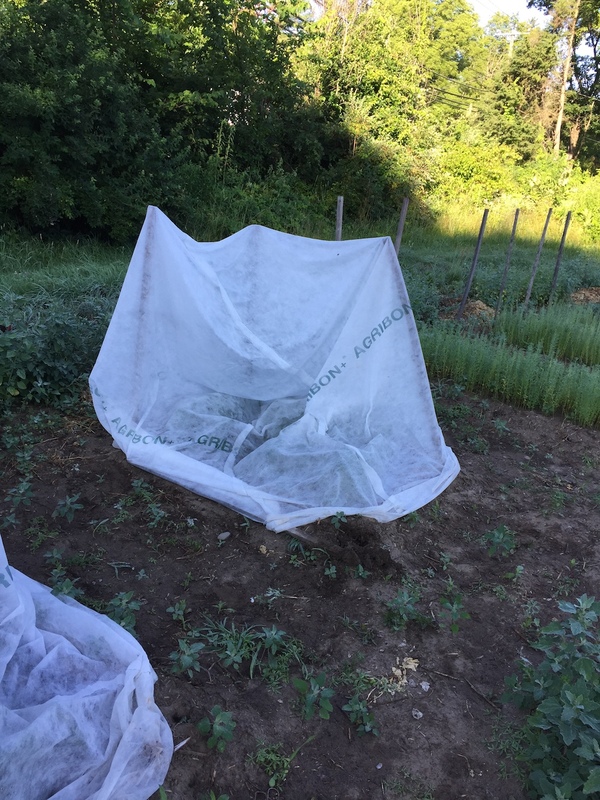 I decided to cover the beds again this year to keep the varieties isolated. 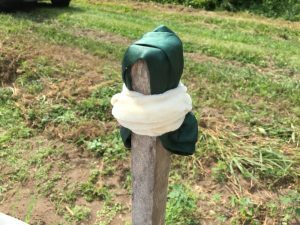 Depending on whose advice you follow, covering isn’t strictly necessary. 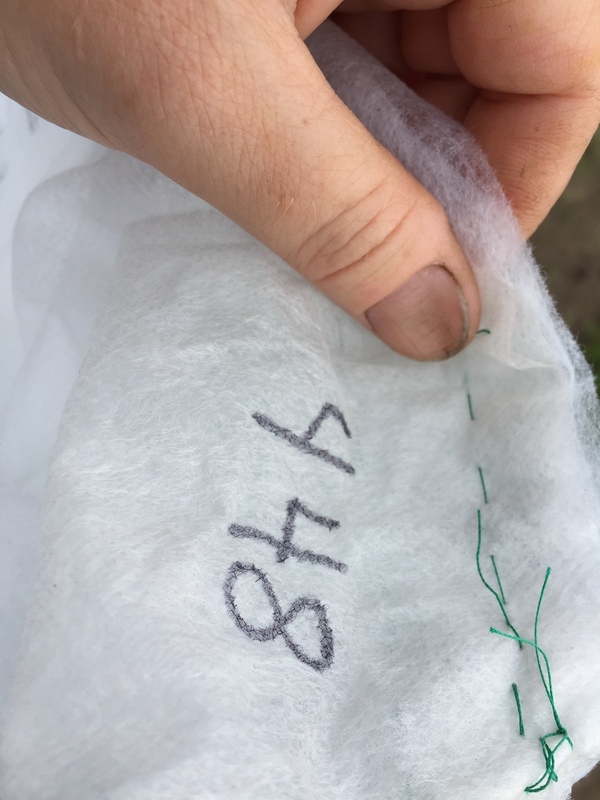 It’s labor intensive, admittedly, but it gives me a sense of security that the seed I’m saving from the types I originally got from the USDA are as true as possible to the way that I received them. 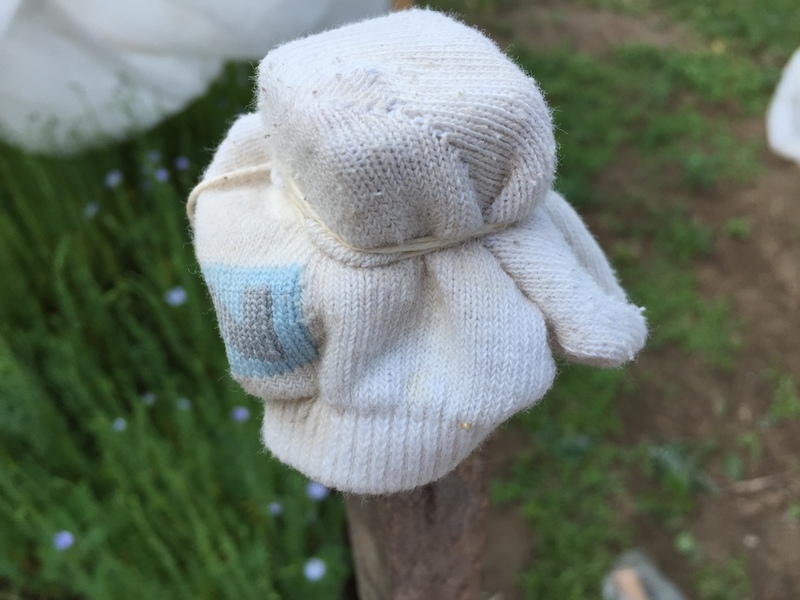 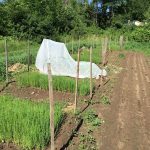 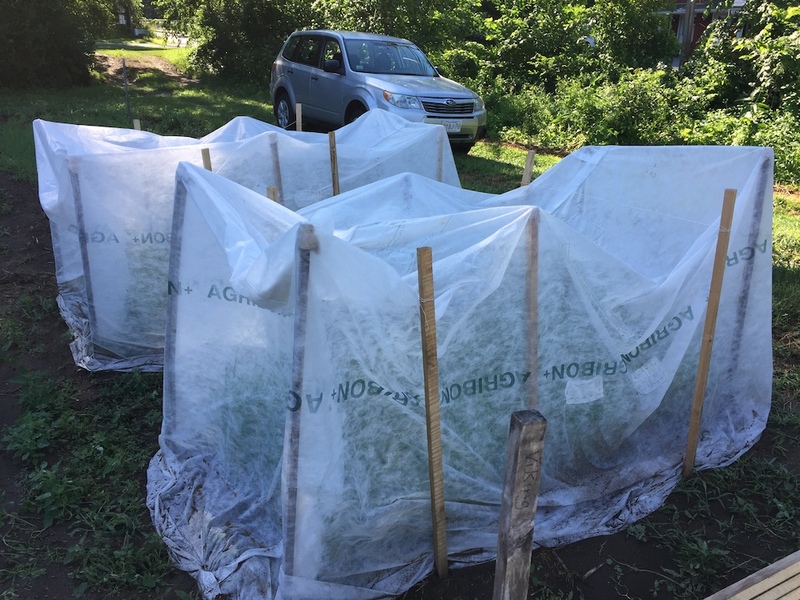 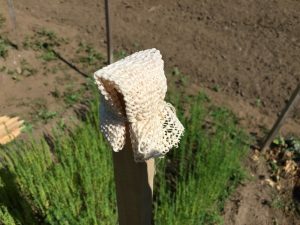 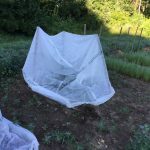 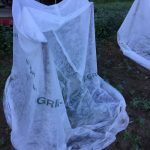 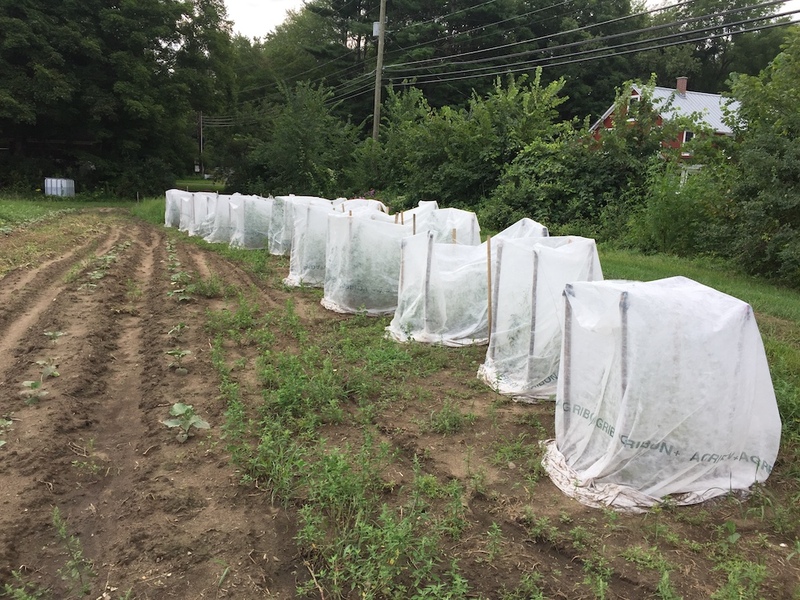 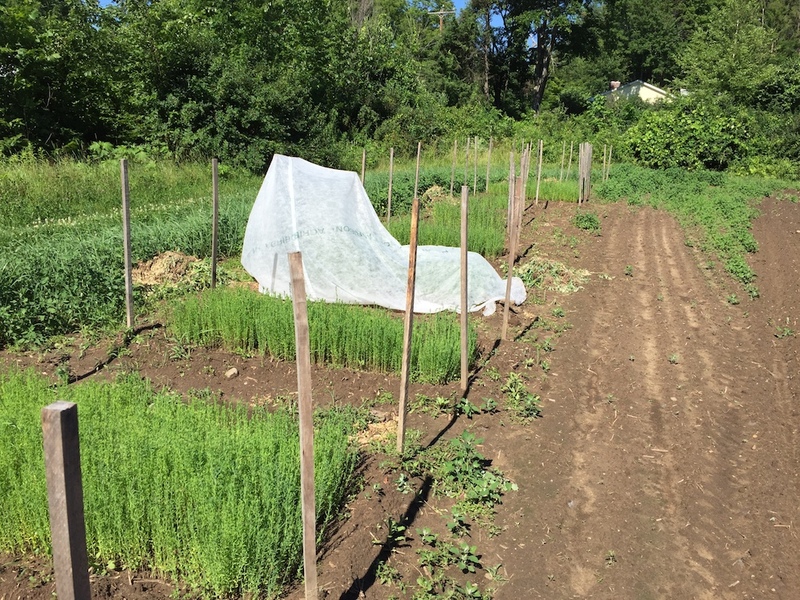 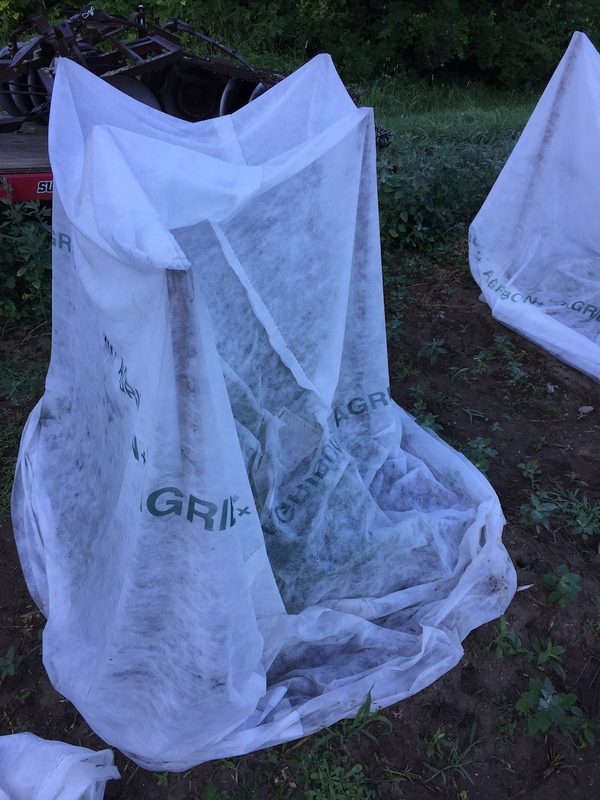 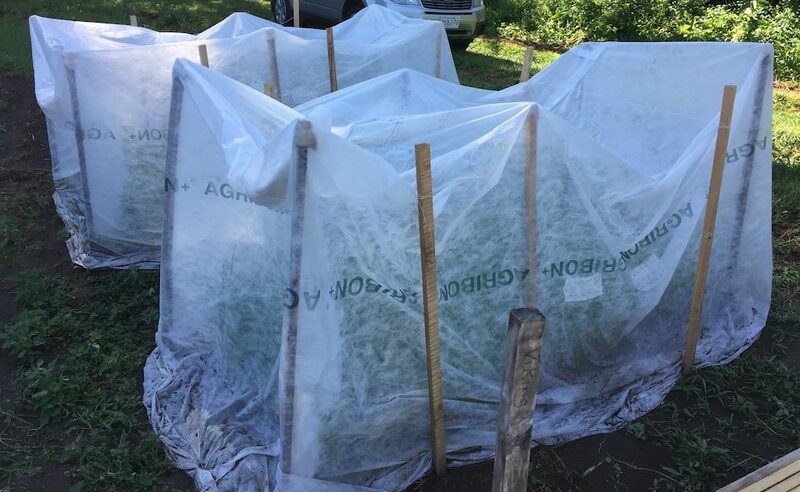 As each variety started to bloom, I covered it with a tent made of Agribon and staked it down around the bottom to dissuade pollinating insects from getting in. 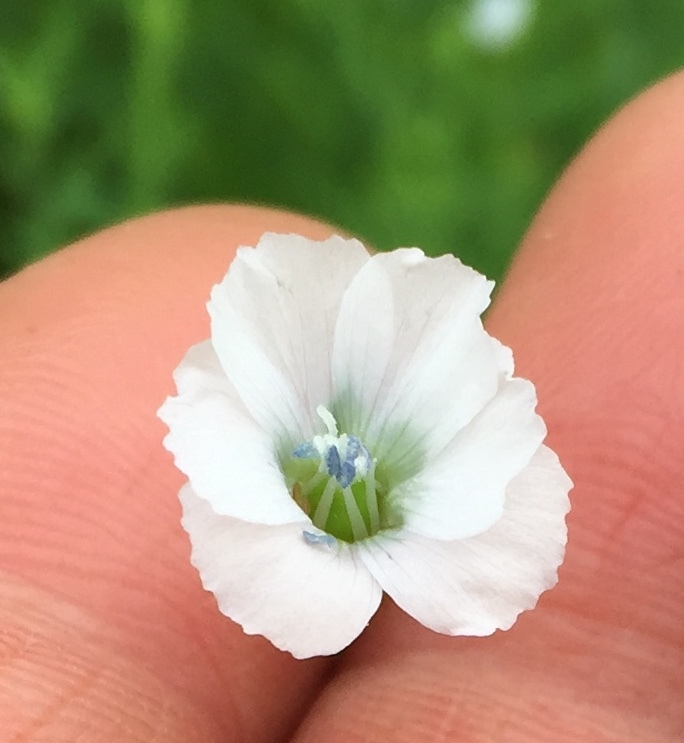 I will spare you the detailed photos I took of each and every type as it started to bloom. Here’s the short version: the earliest variety flowered at 37 days after planting, and the latest at 58 days on July 25th. I have no need of scrunchies these days, plus the elastic is shot. 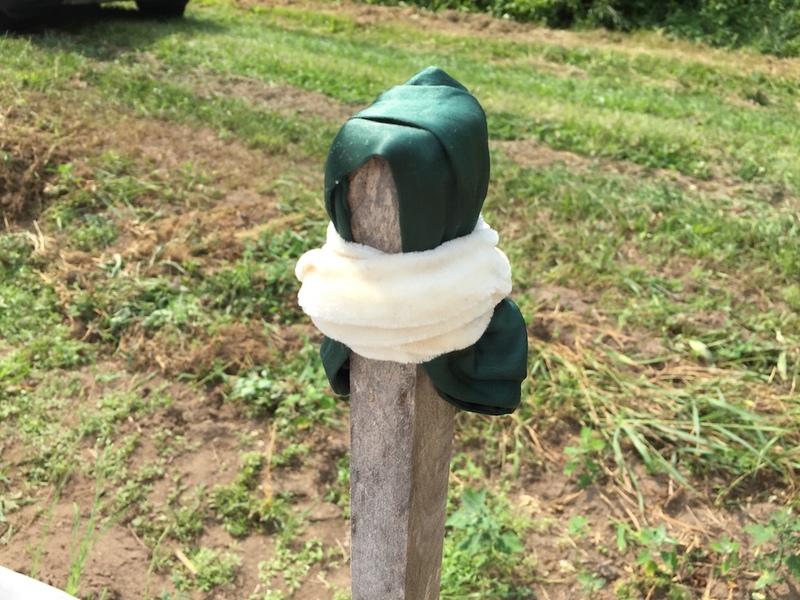 The padding worked amazingly well, and I had practically no tearing or abrasion over the season. 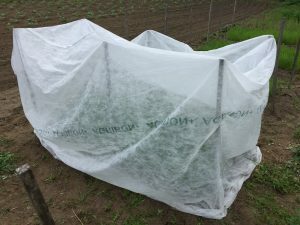 I’ll write more about the rain in another post.